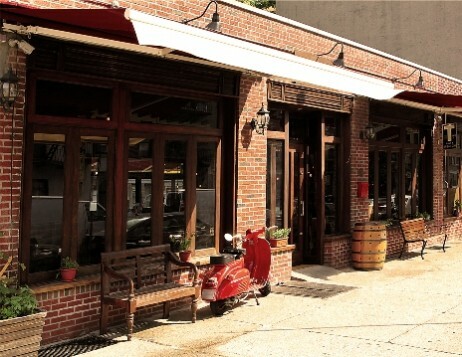 Two long-serving Cipriani employees have opened a restaurant of their own in Astoria. VITE Vinosteria, a new Italian restaurant and wine bar located at 31-05 34th Street, opened last week and is offering home-style dishes as well as wine imported from Italy at affordable prices. The menu consists of many freshly made Italian dishes. Both the whole wheat pasta, and handmade ravioli with ricotta cheese and olives will be made from scratch on location, according to co-owner Dino Uras, who was the general manager at Cipriani for the past 12 years. Uras has been working on the menu for a while and said the whole wheat pasta with lamb ragu, a specialty from the Abruzzo region of central Italy, will certainly stand out to customers. “It is phenomenal,” Uras said. Other entrees include Entrana alla Griglis, a grilled skirt steak with roasted potatoes and Bucatini alla Grigia, which is hollow spaghetti with zesty bacon, pecorino and black pepper. It also serves pizza, starting at $10. The wine bar features 10 white wines and a dozen red wines, all imported from Italy. The most expensive glass of wine cost $7.95, which is a part of Uras’ business plan. Uras, who is from Italy, has lived in Astoria for five years and his partner, Carmelo Bennici, has lived there for the past 12 years. Bennice worked in Cipriani’s kitchen for 12 years. Uras, who is a fan of the neighborhood, said it is lacking a place where customers can just go in, have a nice glass of wine and relax, at an affordable price. “We want to offer that to the community,” he said. This is the first restaurant the two have opened. Bennici will work in the kitchen at the restaurant.